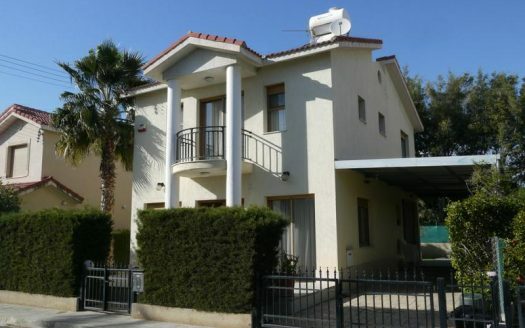 This 4-bedroom furnished villa is on a 347 sq m plot and has 183 sq m covered area, 18 sq m of covered veranda and 47 sq m of uncovered veranda it is ideally located between the centre of Limassol and the tourist area and is only a few minutes’ walk from the sea and close to all amenities. The ground floor of the villa comprises a large L shaped lounge/diner a 3.4 m x 7.7 m separate kitchen diner and a guest WC washroom. The upper floor benefits from a large landing providing access to the 3.7 m x 3.4 m master bedroom with en-suite shower facilities, three further bedrooms at 3.9 m x 3.3 m, 3.6 m x 3.6 m and 3.4 m x 3.1 m and a 2.4 m x 1.9 m main bathroom. There are also verandas accessible via the bedrooms at the front and rear. 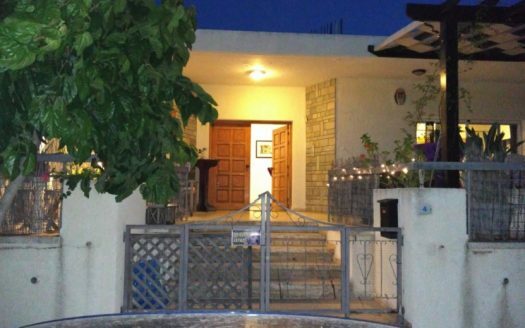 The villa has a graffiato style finish, is double-glazed with louvered shutters, has air conditioning throughout, alarm system and solar water heating. Outside there are two large uncovered parking areas sufficient for four cars, a front patio and at the rear a 7 m x 3 m private swimming pool with outside shower, sink and surrounding patio area.